"We are expecting warmer than normal temperatures," said Sandi Duncan, managing editor of the Farmers' Almanac. "It's going to be steamy, that's for sure." WASHINGTON — It’s going to be a “keep the lemonade coming” kind of summer for the D.C. area, according to the Farmers’ Almanac. 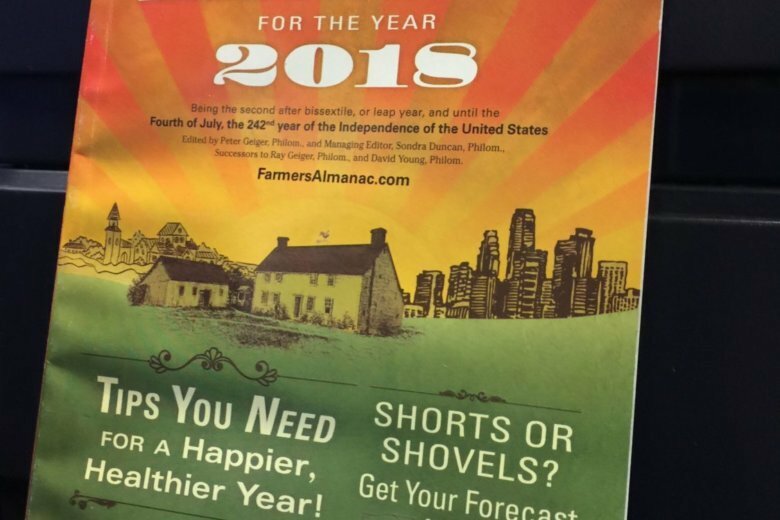 The Farmers’ Almanac splits the U.S. into seven zones. The D.C. metro area is in zone one. Farther north in zone one, the summer forecast is for a drier than usual season, Duncan said. “But you guys are right on that line where we seem to see a lot of bouts of precipitation. So, I think it’s going to be one of these hazy, hot, humid and kind of wet summers on tap for you,” Duncan predicted. The three-month outlook from the National Oceanic and Atmospheric Administration released last week calls for an above average chance for above average temperatures within the next 90 days. It also predicts a slightly above average chance for above average rainfall. The Farmers’ Almanac weather predictions released in the current edition in August 2017 include numerous factors. After last year’s hurricane season, people living in storm-prone areas might be ready to embrace any prediction indicating they won’t get hammered again this year. “Our long-range forecast only predicts one risk for [U.S. mainland hurricane] landfall during the summer … this landfall hit might be for the Texas coast sometime during the third week of August,” Duncan said. The 2018 Atlantic hurricane season is from June 1 to Nov. 30. The Farmers’ Almanac predicts it will be an active tropical season for storms, “meaning that they’re not going to turn into hurricanes, but they may possibly cause some coastal erosions and some major coastal storms,” Duncan said.